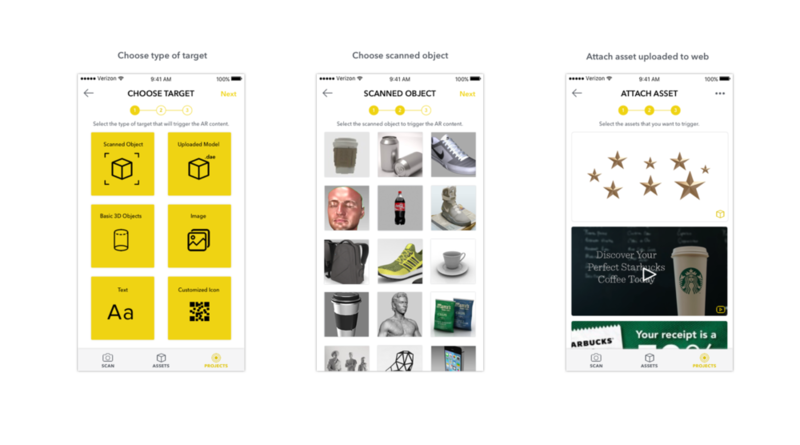 In collaboration with Verizon ENVRMNT (AR/VR Team) and NYC Media Lab, we're building a easy to use mobile prototyping tool for advertisers to 3D scan real life objects and curate AR markers. I'm working in a multidisciplinary team comprised of a back-end engineer specializing in Computer Vision and AR and a front end developer. 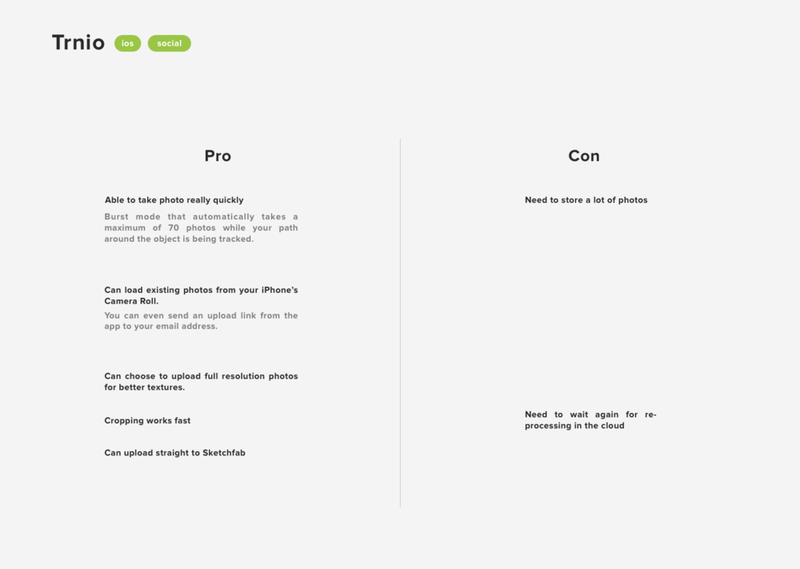 As the designer in the team, my role is to lead user research, strategize the user flow and design the prototype. 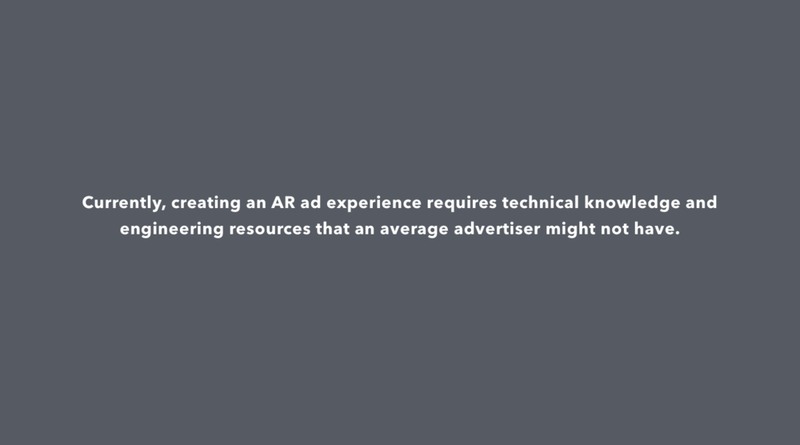 We talked to marketers/advertisers, designers in advertising agencies and AR companies who work with advertisers to get a comprehensive view of how our product could integrate into their current work flows. From our research, we realized that many advertisers are unfamiliar with mixed reality and have limited experience 3D scanning an object. 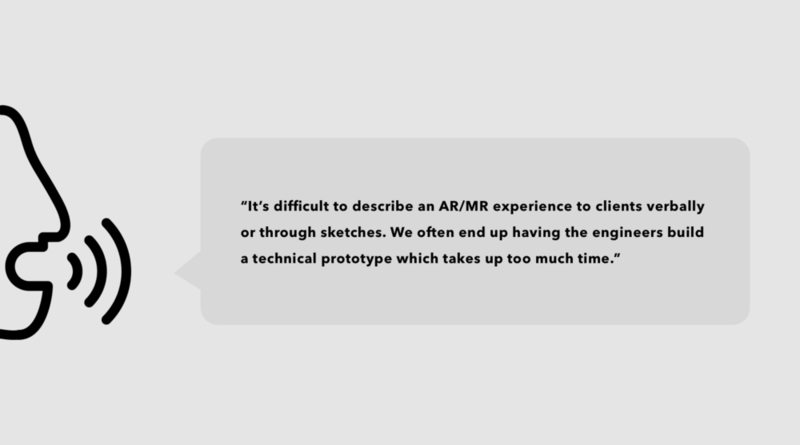 Currently, for those who are working in AR/MR related projects, their biggest pain point was having to communicate their ideas through sketches or flat designs. 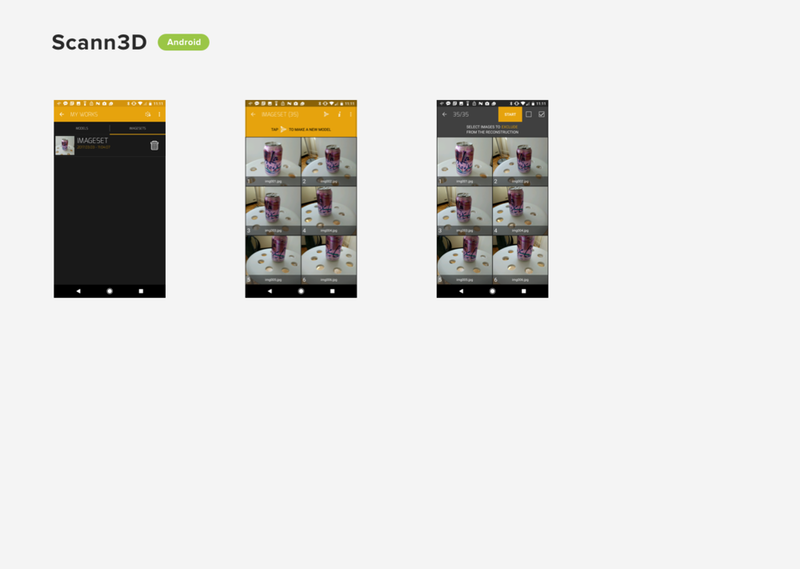 We built a SDK so any advertiser could integrate their projects into their own native apps.